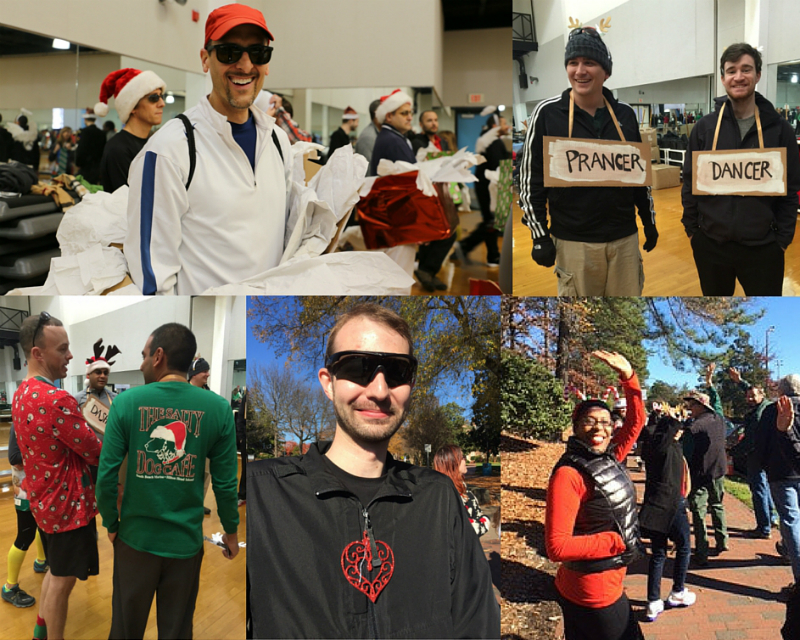 ITS staffers demonstrated good humor, holiday spirit and camaraderie by donning festive costumes and participating as the 40-member Tech the Halls team in the campus-wide Jingle Bell Jog on Friday, December 4. ITS fielded an outstanding team of participants. 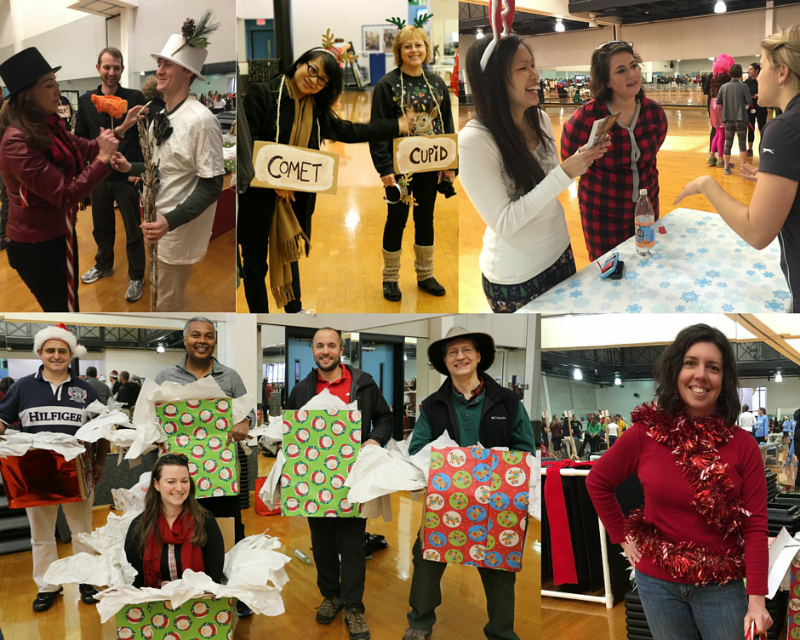 Employees dressed as an ITS sleigh filled with presents, reindeer, candy canes, snowmen, elves (Santa’s 962-HELPers), Christmas trees and an angel. Thank you to our participants for coming out on the beautiful, sunny afternoon to join in on the fun. We had a blast! This year Jingle Bell Jog drew a record number of total participants: 380 people walked or ran the course. The event benefited the Glenwood Elementary Family Assistance Program and the Orange County Animal Shelter. 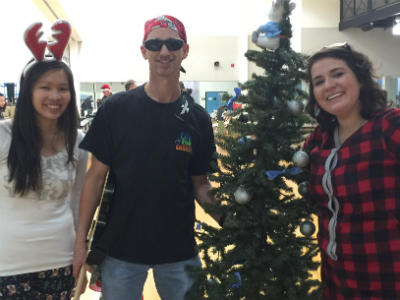 Our Tech the Halls team took home the “Best Participation” award with about 40 participants. Congratulations to all. As reward for your wonderful participation, ITS has won an office pizza party. We will follow up with details soon. 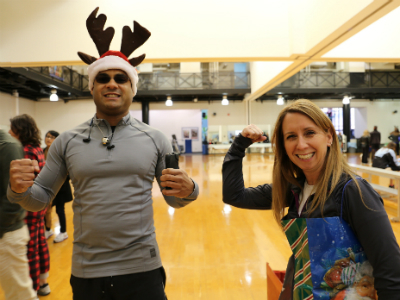 Congratulations also to one ITS’er who participated in Jingle Bell Jog with the event’s other winning team—a group from the Office of University Counsel. Mark Wampole of ITS On Site Support, who is embedded with the Office of University Counsel, dressed up as part the motley crew of rock and roll degenerates with a “Rockin’ around the Christmas Tree” theme. That team won the “Most Creative Team” award, marking the third straight year OUC has received the honor. 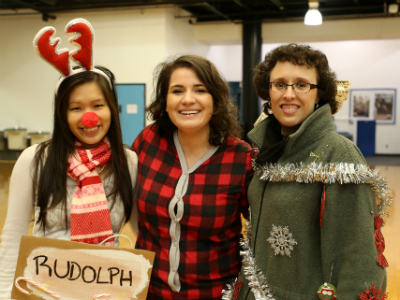 As for the ITS team, a big thank you to amazing team captains Thao Nghi Bui and Camilla Posthill, Kelly Johnson for helping to build this great team, April Chang for coming up with the team name, all the Jingle Bell Jog participants and everyone who supported the team.